creative writing skills and are ready to start getting published! Classes will meet once a week for six weeks. and dive into the practical aspects of writing. 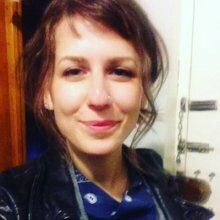 Laura Mae Isaacman (lauraisaacman.com) spent six years as editor of the literary magazines Tweed's Magazine of Literature & Art and The Coffin Factory, which have been featured in the New York Times Magazine, Los Angeles Times, Poets & Writers, and Library Journal. She has worked with Joyce Carol Oates, Lydia Davis, Lara Vapnyar, Aimee Bender, David James Poissant, Kathleen Alcott, Justin Taylor, César Aira, Chiara Barzini, and Sergio Chejfec. You can find her recent webinars at Writer's Digest and The Write Practice. She is an editor for the NYC Emerging Writers Fellowship at The Center for Fiction. Want us to bring our writing workshop to your area? Tell us where you live and what you're looking for!